Looking for a way to really stand out from the competition? 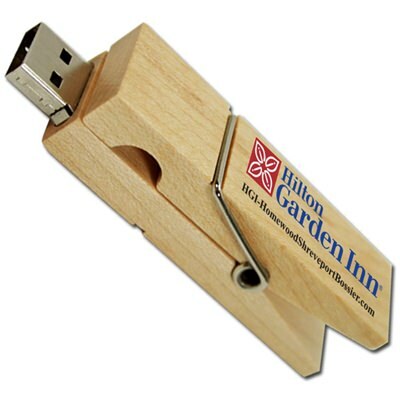 The custom Clothespin USB Drives are made from durable real wood, unique, and great to apply in a working environment. 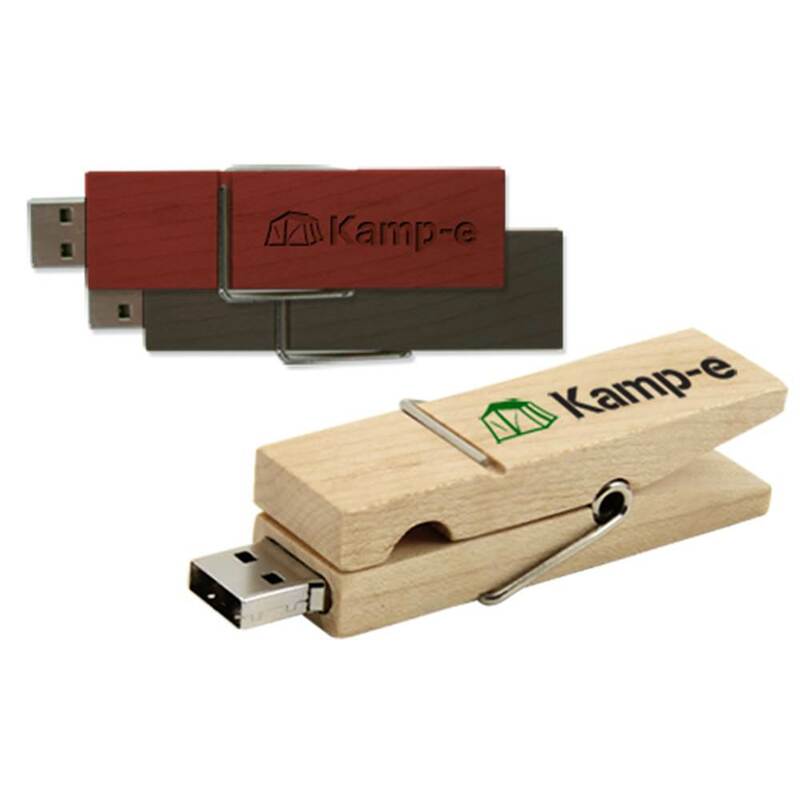 These wooden drives can be clipped on to nearly anything ranging from an office folder to even a thin table surface. The wood on the clothespin USB drives are available in your choice of three colors of either wood, brown, or red colored drives. The wood casing is also a plus for environmentally minded consumers. These wooden memory sticks are great promotion tool for conventions, hospitality industries, environmentally focused industries, and more. Stay unique with a custom Clothespin wooden USB. 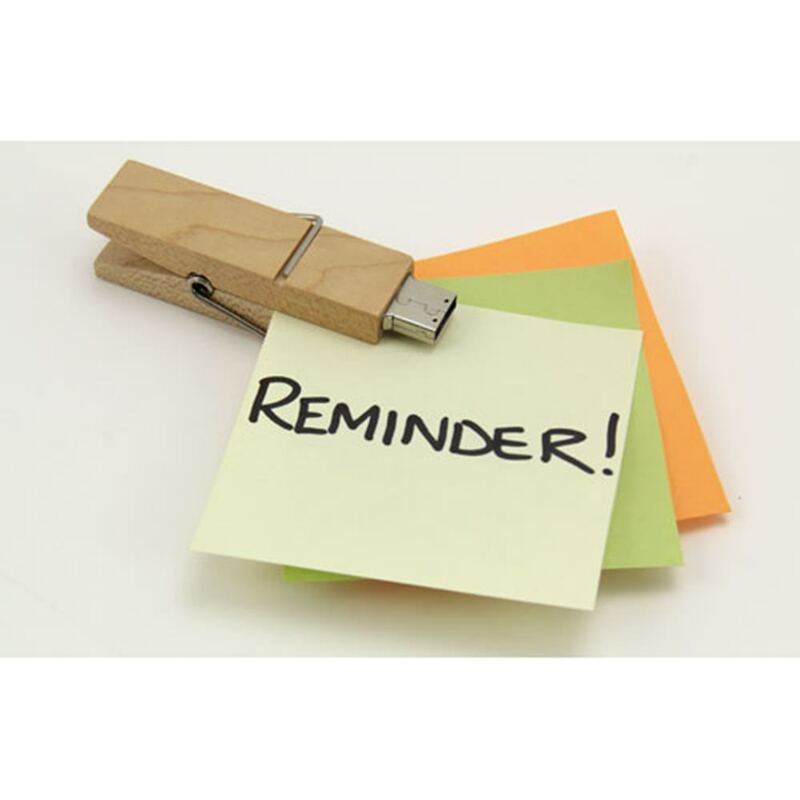 Environmentally friendly, fun and unique, useful, and perfect for handing out at tradeshows, conventions, or corporate sponsored events, the Clothespin shaped promotional memory stick has a lot to offer your advertising team. 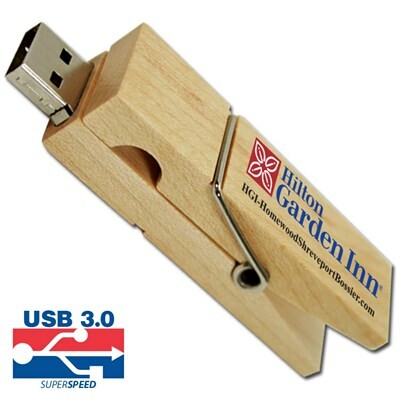 It comes in several different drive colors (wood, red, and brown), drive capacities (maxing out at a spacious 32GB), and either USB 2.0 or 3.0 speeds. With ecofriendly materials, an iconic clothespin shape that is functional, and convenient data storage, the Clothespin has a lot going for it. 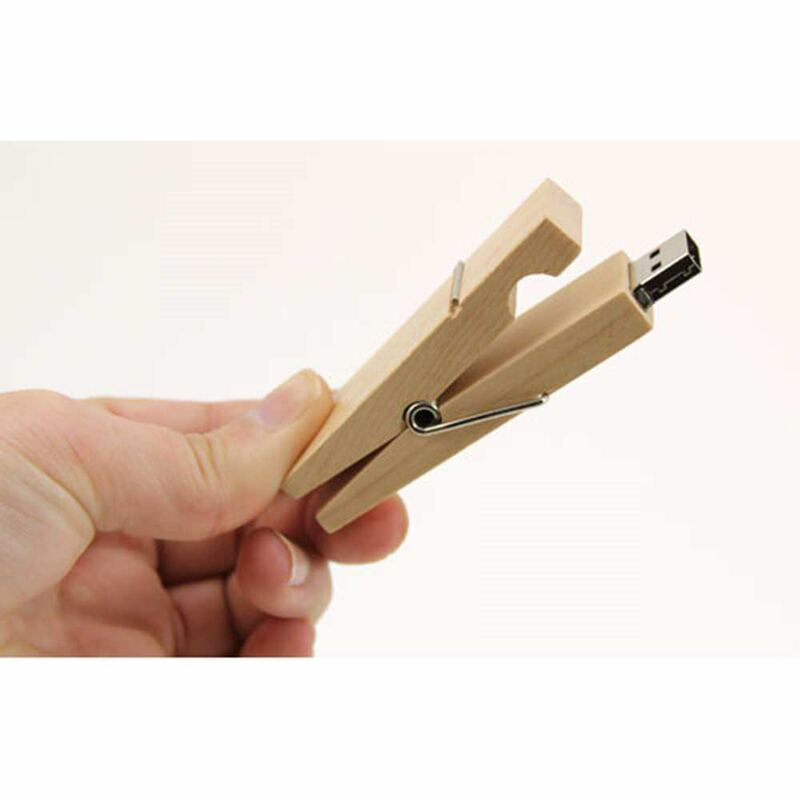 Pin your sales numbers higher than ever with the Clothespin USB drive.